We are your Nampa, Idaho neighborhood Kia dealership serving Boise, Meridian, and Caldwell. 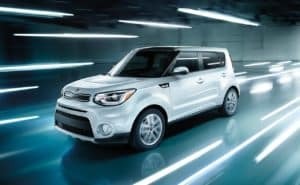 Visit us today and shop our selection of exciting new 2018 Kia models including customer favorites like the 2018 Kia Optima, 2018 Kia Sportage, and the 2018 Kia Soul. We also have an excellent selection of quality used cars in Nampa as well as certified pre-owned Kia vehicles. If your vehicle requires service or maintenance, bring it to our Kia service center near Kuna. Our expert technicians will have you and your vehicle back on the road quickly and safely. Our Kia Finance Center can help you secure financing for your new or used car, truck, or SUV–no matter if it’s a low interest rate or bad credit car loans. Our finance specialists are here to help you get the financing you need. Visit us today at Kendall Kia Nampa at 15700 Idaho Center Blvd!